Most consider the primary bloom period for roses to be early summer, when the ramblers and climbers are in its majestic glory. But roses don’t end their bloom cycle there. Many of the shrub roses are huge floral workhorses for the garden and can extend color for your borders well into the fall season. Roses may lapse into a mid-season slump but often kick into gear the latter part of summer and generate sporadic blooming all the way into frost. Sometimes all that is required to extend the flush of bloom is a bit of pruning. Don’t be afraid to cut your roses back. You can prune many of the varieties heavily but if you are uncomfortable with taking too much off, remove the rose hips and prune the canes back to the first set of compound leaves with five leaflets. This should help stimulate a new flush of flower buds. If there is blemished or diseased foliage, remove and dispose in the trash barrel. A constant reminder: do not compost any diseased plant material. At this time of year, you don’t have the same level of disease and insect pressure, Japanese Beetles being one of the main culprits of rose munching. 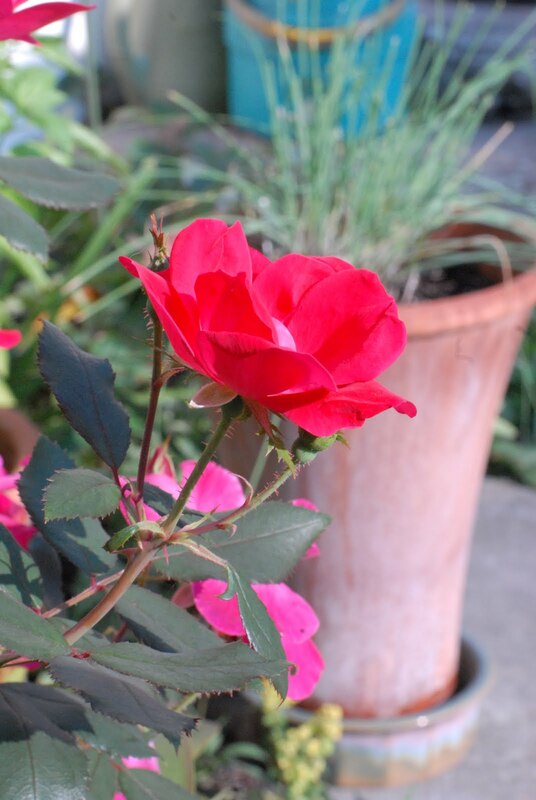 So if you stay away from roses, like I do when shopping for plants, consider adding at least a few to your palette. Many varieties can grow in extremely challenging conditions. 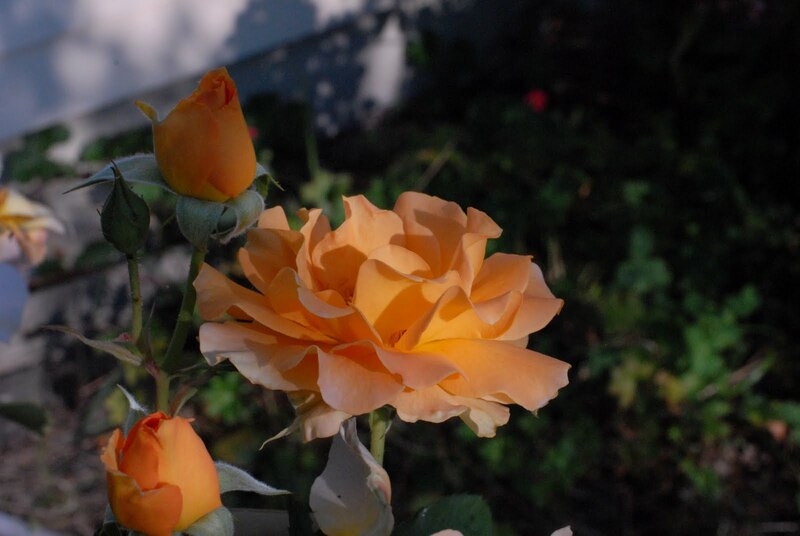 You often see roses in coastal landscapes, exposed to the full brunt of wind, salt and sun. So take the advice of an anonymous author. “Avoid being impatient. Remember time brings roses.” At this time of year, you will forget the Japanese Beetles that took the first round of loveliness.